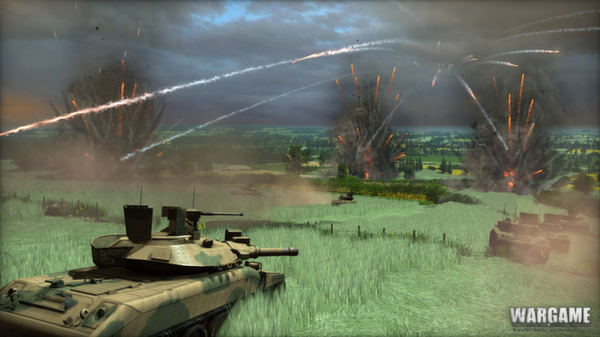 Wargame : European Escalation is a strategy game in real time on PC, that maintains the two core values ​​of the classic wargame (depth and reflection) while offering a dynamic real-time gameplay , and an incredibly spectacular and realistic visual experience. Set in the rarely explored period of the Cold War 1975-1985 , Wargame : European Escalation explores the battles ' that could have been' if history had taken a wrong turn at some point in the conflict path. On both sides of the Iron Curtain that tears Germany in two , the two military alliances , NATO and the Warsaw Pact , are on the brink of war. The zeal of a patrol close to the East German border eventually leads to a confrontation with his brothers enemies. Soon the local skirmish pushes the already tense relationship between NATO and the Warsaw Pact on the brink of total war. Both superpowers have enough nuclear fire at their disposal to annihilate all life on the planet, but of course this is a last resort , if an open conflict was to happen , would take the form of a conventional war in Germany and throughout Europe . The world is about to fall into the dreaded third world war. 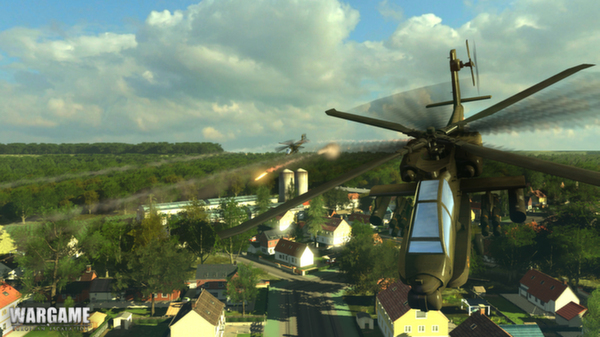 Wargame : European Escalation plunges you into the midst of this conflict , through a big and explosive military campaign ! With rare strategic depth , Wargame : European Escalation stays accessible, and gives all strategy fans , beginners and experienced players , an innovative and realistic gaming experience only . Whether solo playing through a large campaign or fighting against other players worldwide awareness , reflection and situation are determining factors for victory . Players will have to take into account many parameters , such as covers , supplying and refueling, and morale , which affect the ability of their units. They also have to make good use of reconstruction in order to discover what their opponents are planning and plan their own tactics and battle plans accordingly. Each of the 300 units in the game possesses realistically rendered performance and behavior. 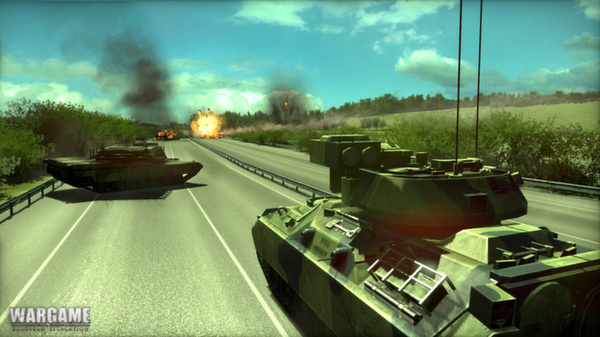 Players must monitor which weapons systems their units may use , allowing or forbidding certain weapons in order to save valuable ammunition. This allows users to tailor their battle strategy for a given situation , it is especially useful in stealth maneuvers , in which a player could prohibit the use of weapons until his troops are at close range and then take your enemy by surprise . When a unit a weapon, many parameters (including resale optical systems , the experience of the unit, if you or your subject is moving or stationary, and if they had already shot at this goal before ) fires are taken into account in order to determine the probabilities for each weapon system to hit their targets. 0 Response to "Wargame European Escalation Full Version"